On Friday, amidst Krasnaya zvezda’s usual fare, there was interesting coverage of a high-level meeting to review the military’s UAV (BPLA or БПЛА) procurement program. 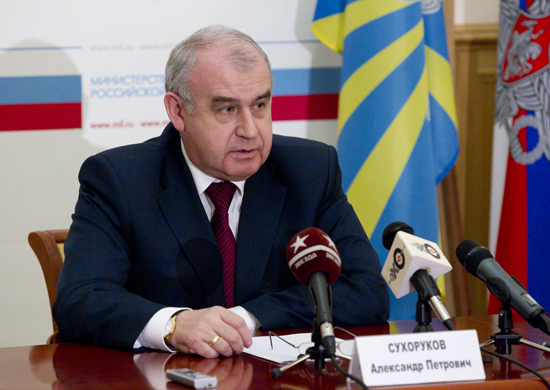 Rosoboronzakaz Director Aleksandr Sukhorukov, a former Serdyukov tax service deputy, conducted the session. Also participating were newly-minted Deputy Defense Minister Tatyana Shevtsova, also a former Serdyukov tax service deputy, and Director of the Federal Agency for Supplies of Armaments, Military and Special Equipment, and Material Resources (Rosoboronpostavka), Nadezhda Sinikova, another of the Defense Minister’s long-time proteges. The military paper noted that representatives of the government, ministries, and other federal executive organs, state customers from the Defense Ministry, FSB, FSO, MVD, and MChS, representatives of the Main Military Prosecutor, and OPK officials also attended. One Yu. Stolyarov gave the main report. 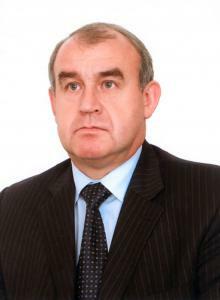 He’s Chief of the Directorate of Oversight of the State Defense Order in the Area of General Armaments and Military Equipment, Aviation Equipment, Aerospace Defense Means and Armaments, Ships, and Naval Armaments and Military Equipment. Quite a broad portfolio. Krasnaya zvezda didn’t elaborate on what Mr. Stolyarov said, however. Ground Troops CINC, General-Colonel Aleksandr Postnikov, VDV Chief of Staff and First Deputy Commander, General-Lieutenant Nikolay Ignatov, an OAO Tupolev deputy chief designer, and OAO ‘Vega’ Radiobuilding Concern General Director, V. Verba also spoke at the session. Their remarks weren’t reported either. What should we conclude from this? Firstly, the meeting highlighted Shevtsova’s new oversight and auditing role in procurement. Secondly, the Defense Ministry’s leaving the door open for domestic UAV producers, and so this seems to amount to just another warning to them. It doesn’t seem to be anything like a decision to include Russian firms or exclude foreign ones, or vice versa. It’s not surprising the Defense Ministry highlighted this particular program review. Few procurement issues have caused Russia as much angst recently as UAVs. Georgia’s Israeli-supplied UAV capabilities, and Russia’s relative lack of them, highlighted this issue in 2008. Moscow had to risk manned aircraft instead of employing unmanned ones on reconnaissance missions. What’s worse, two years after the five-day war, there’s still no fix to the UAV problem. And it will become more acute should unmanned aircraft become the backbone of future air power for the world’s leading militaries. Russia’s clearly behind on UAVs, and questions remain about whether it should catch up, and whether it can. The Russian defense establishment has spent months debating buying from foreign manufacturers, purchasing sample quantities abroad, or producing jointly to jumpstart or pressure domestic producers. In late 2009, Air Forces CINC, General-Colonel Zelin flatly stated it would be ‘criminal’ to accept inferior Russian UAVs into the arms inventory. The FSB reportedly said it would buy Israeli UAVs. 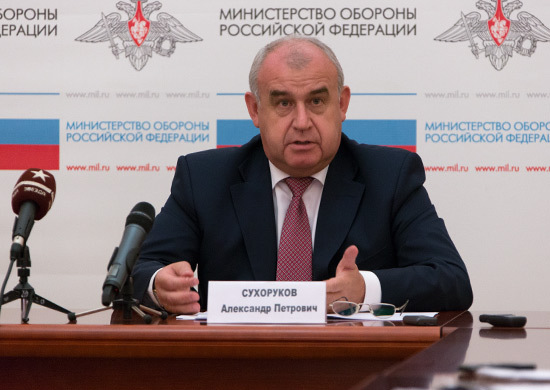 In March, Defense Minister Serdyukov admitted domestic UAVs ‘seriously lag’ behind world standards, and, in April, then Armaments Chief, now First Deputy Defense Minister Popovkin reported that Russia had spent 5 billion rubles on UAVs without result. So UAVs joined the list of other systems – helicopter carriers, soldier systems, light armored vehicles, etc. – that could be bought abroad, but it doesn’t look like Moscow is ready to rely, at least entirely, on foreign producers for any of them.